Grunge theme. Looks great on any store. It's based on 2 column home page layout with products slider and image slider on welcome page. Make any store modern using Active template! It's based on 3 column home page layout with image slider on welcome page. It's a professional template with built-in product tabs block. 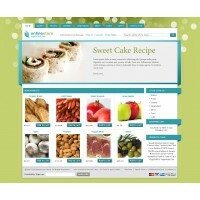 Freshen up your store with organic theme! It’s based on 2 column home page layout with image slider on welcome page. Built-in product tabs block and lightbox image module make your store user-friendly. Let your store get glossed-over effect! 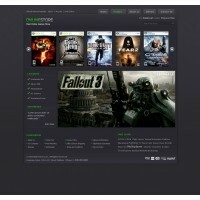 Theme is based on 3 column home page layout with product slider and image slider on welcome page. Built-in product tabs block will help your customers start shopping faster. Stylish dark template for any store. 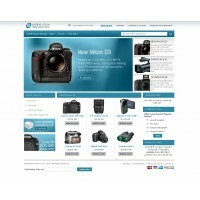 Based on 2 column home page layout with products slider on welcome page. Testimonials blocks is on the welcome store page. Clean aqua design will make your store nice looking for each customer. The template is based on 3 column home page layout with slider on welcome page. Make your store modern with vintage-inspired theme! It's based on 3 column home page layout with image slider on welcome page. The pages are so attractive all over the store. Modern template for any kind of store. Based on 3 column homepage layout with products slider on the welcome page. New Products are showcased on the homepage. Let your store get luxury design! 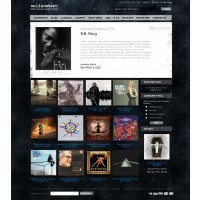 Theme is based on 1 column home page layout with products slider and image slider on welcome page. Themes theme can be easily improved with our free Product tabs and lightbox image modules. High-end template for any kind of store. Based on 3 column homepage layout with image slider on welcome page. SEO friendly design. Theme reliably meets standards of performance. Theme is based on 2 column homepage layout with slider on welcome page. Available in 3 colors.